MOUNT LAUREL, New Jersey–The Congressional Leadership Fund (CLF), a leading Republican super PAC, continues to lead the charge to deploy the Republican grassroots to defy history and hold the House Republican majority, as seen by their efforts in New Jersey’s third congressional district and documented by Breitbart News. 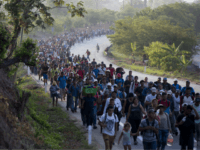 The Congressional Leadership Fund, the super PAC endorsed by the House Republican leadership, announced on Saturday that they held their fourth “Super Saturday” to reach a record number of Republican voters across the nation. CLF is using its 40 field offices to engage with over 500,000 targeted voters in key congressional districts needed to hold the Republican majority. Compared to other super PACs, CLF has decided to build its grassroots army, rather than use most of its money solely on television and digital ads. Not only are CLF’s grassroots efforts building up Republican voter engagement, but they are also building up a Republican network which it can use for future elections beyond the 2018 midterms. 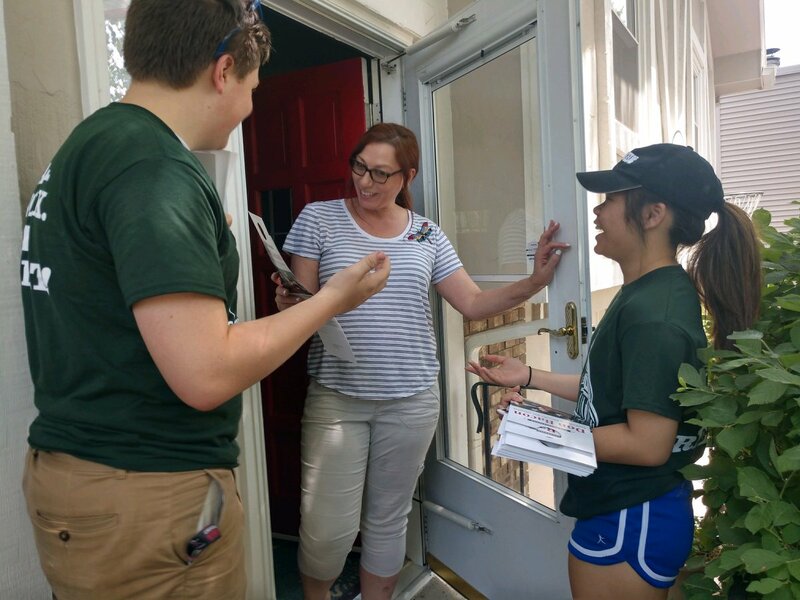 The CLF is empowering its 5,500 grassroots volunteers to engage in door-to-door canvassing and phone banking and to build a Republican grassroots army across the nation. Since February 2017, CLF opened 40 field offices and made over 24 million voter contacts to date. 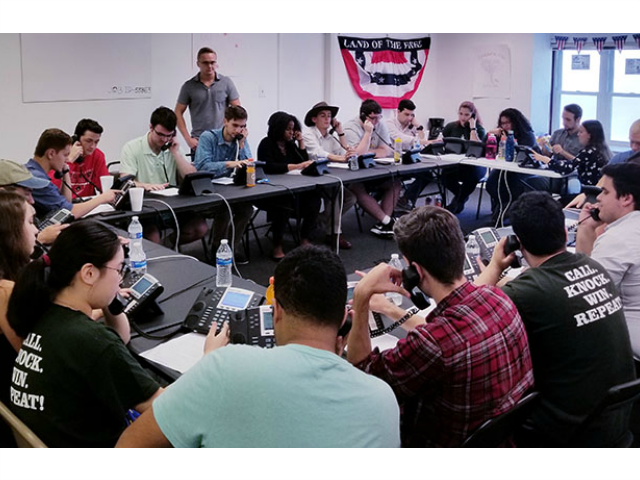 Each CLF office has a full-time staffer and hundreds of interns and volunteers who engage on a daily basis through hyper-targeted phone banking and door-to-door grassroots activism. On July 28, CLF held its third Super Saturday and surpassed its goal of 400,000 voters contacts in more than 30 field offices nationwide. This past Saturday was the group’s fourth Super Saturday. Republicans will attempt to defy history this November and hold the House majority. Historically, a president’s party typically loses significant Congressional seats in non-presidential election years. Republicans gained a historic 64 seats in 2010 when Barack Obama was in office, while Democrats took 32 seats in 2006 during George W. Bush’s second term in office. The Democrats need to win 23 Seats to win the House majority, which would only give them a slim majority of 218 to 217 seats. 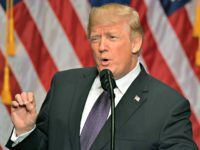 Republicans have used their legislative victories such as the Tax Cuts and Jobs Act, as well repealing Obamacare’s individual mandate, and the skyrocketing economy to bolster their midterm message. To combat these the historical trends, CLF has invested significantly in its grassroots and digital operations. CLF invested over 30 percent of its budget, or nearly $20 million, to reach likely voters across the Internet. In comparison, CLF spent $2.7 million on digital in 2016. They even opened their first grassroots office in February 2017. The CLF even targets and emphasizes local issues facing each congressional district. For example, in Rep. David Valadao’s (R-CA) race, they focus on water resources for the Central Valley and fighting the California gas tax, while in Rep. Tom MacArthur’s (R-NJ) district they focus more on the opioid crisis. The CLF has chosen New Jersey’s third congressional district as one of their key congressional races. 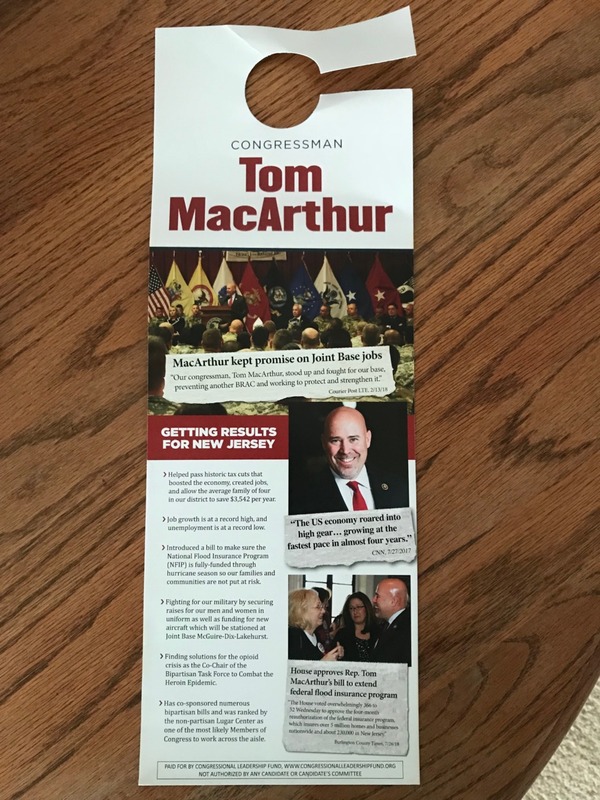 The third New Jersey Congressional has elected MacArthur to Congress twice, both in 2014 and 2016, and before then they chose former Eagles left tackle and Republican Jon Runyan as their representative in 2010 and 2012. The last time NJ-3 went for a Democrat was in 2008, during a huge down-ticket wave from Barack Obama’s historic presidential election. Kim previously refused to answer 16 times whether he would support abolishing the Immigration and Customs Enforcement (ICE) agency and then later granted that the would oppose eliminating the nation’s immigration enforcement agency. MacArthur told Breitbart News that he wants “strong, secure borders,” whereas Kim wants open borders. Kim has faced backlash over embellishing his national security resumé. Kim claimed to be a national security officer during the George W. Bush administration; however, his own LinkedIn page admits that he worked as an entry-level staffer for the United States Agency for International Development (USAID) for less than a year when he was 22-years-old. In contrast to Kim, MacArthur has worked as then-House Tuesday Group co-chairman to work with House Freedom Caucus Chairman Mark Meadows (R-NC) to make changes to the original Obamacare repeal proposal known as the American Health Care Act (AHCA) to ultimately pass through the House. MacArthur has also worked to help pass and champion Trump’s tax cut legislation which has poured— as President Donald J. Trump calls it– “rocket fuel” on the economy. People know where I stand whether they agree or disagree with me, I am straight with folks, I think I owe them that. I supported the tax cuts because I think they were good for the country and I think they were good for my state. You’re now seeing the results—low unemployment, high growth, this is an economic boom for the country. Breitbart News spoke with multiple CLF activists on Saturday about why they want to get involved in grassroots activism. 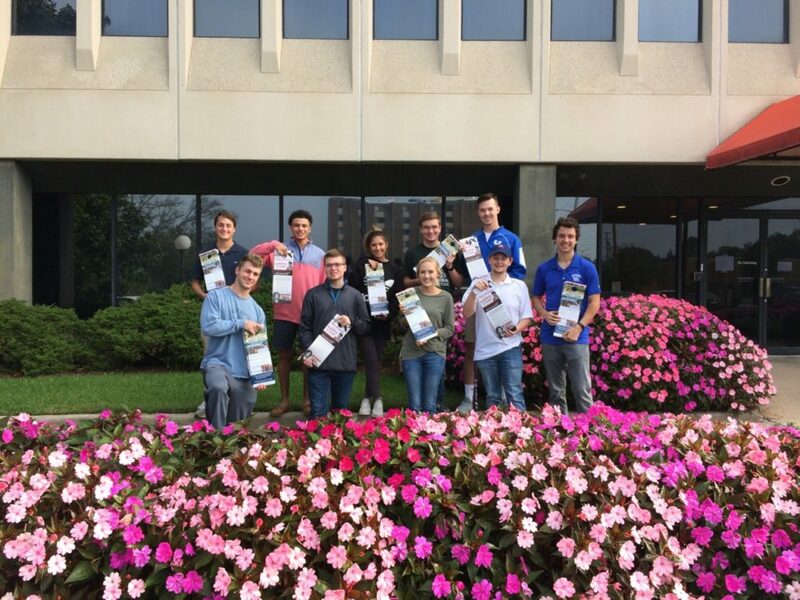 The CLF office in New Jersey features roughly 30 interns and volunteers who work several days a week and at least four or five hours a day to energize Republican voters. Will, a student at The College of New Jersey (TCNJ), told Breitbart News that voters across Burlington County are fired up about this race. 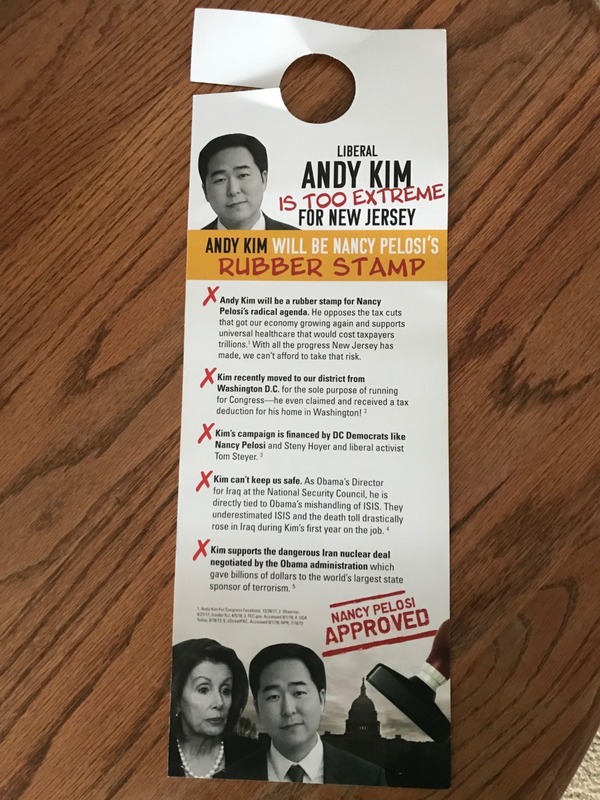 Will said at one Andy Kim town hall, “A former Navy Seal from Burlington Country got up to condemn [Andy Kim] that he overstated” his national security resumé. Will also said that with CLF, they can build up a significant grassroots network engaging with conservative and libertarian clubs such as the College Republicans, Young Americans for Liberty (YAL), and Young Americans for Freedom (YAF). Miranda, a student at Rowan University, told Breitbart News that many of the New Jersey residents she speaks with believe Kim is a “D.C. outsider who’s entitled” and wants to derail the progress that Republicans and President Trump have made in the last two years. Miranda also said that many residents, even some Democrats, have become upset with Democrats’ tactics to disrupt and resist the democratic process. Miranda said that the opioid issue has been ignored in New Jersey’s third congressional district, which, fortunately, Rep. MacArthur has worked to shed a “light on” the issue. The CLF Twitter account highlighted their New Jersey third district’s office phone banking. “CLF has a packed house in #NJ03, where our field team is calling voters and talking to them about the work @tmac4congress is doing on their behalf. #CLFInTheField,” CLF wrote. Finding solutions for the opioid crisis as the co-chair of the Bipartisan Task Force to Combat the Heroin Epidemic. Supports the controversial Obama Iran nuclear deal. While the media has portrayed a rising surge of Democratic voters to vote Republicans out of office through a “blue wave,” Republicans voters are starting to get increasing engaged, in part thanks to the efforts of CLF. An NBC/Wall Street Journal poll released this found that Republicans have nearly matched Democratic interest in the midterm election. The party is closing an enthusiasm gap, with 61 percent of Republican voters now expressing high interest in the election, nearly matching the 65 percent of Democrats. 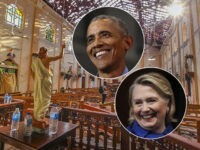 In polls taken over the first eight months of the year, Democrats had held an aggregate 12-point advantage in the share of supporters showing high interest in the election. Republican strategists also revealed that the Supreme Court nomination of Judge Brett Kavanaugh has “dropped a bomb” into the electorate, energizing Republican interest in voting this November. One poll from West Virginia found that 58 percent of voters want Kavanaugh confirmed to the Supreme Court, while only 28 percent do not want him to join the nation’s highest court. 1. I figure it has to be Kavanaugh effect. 2. Remains to be seen if it lasts. Looking at some poll numbers this morning, it’s impossible to overstate how important the Kavanaugh hearings have been to voters. Like dropping a grenade into the electorate. Ds in red states are not going to like this. “Get out in 2018, because you’re voting for me in 2018,” President Trump charged.